Dr. Amanda Kelley is an Assistant Professor at the University of Alaska Fairbanks, and is originally from Portland, Oregon. She is the co-Director of the Ocean Acidification Research Center at UAF. She received her undergraduate and PhD degrees from Portland State University, as a National Science Foundation Graduate Research Fellow and a GK-12 Fellow. 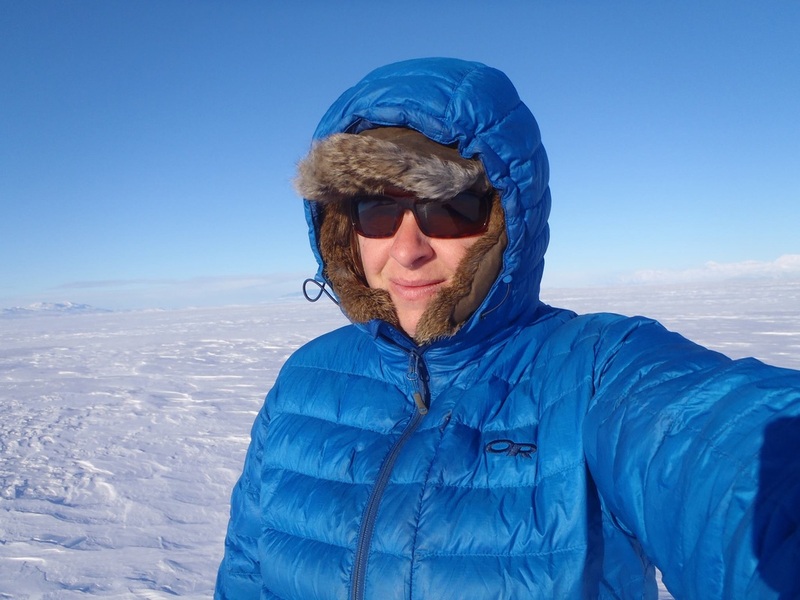 Her postdoctoral training took place at the University of California Santa Barbara, and that work was supported through a National Science Foundation Office of Polar Research Postdoctoral Fellowship. As a certified AAUS scientific diver, she enjoys diving around the globe. A recent article describing Dr. Kelley's research can be found here. ​Marina Washburn is a MS student and a fourth-generation Alaskan who grew up studying marine biology in South-central Alaska. She attended Texas Christian University where she received a BS in Biology. She has conducted research in rainforest reestablishment in Costa Rica and participated in research regarding the management of invasive aquatic organisms in Texas waterways. 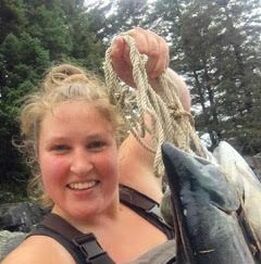 She has also worked for the Alaska Department of Fish and Game as a fish and wildlife technician managing remote-site Sockeye salmon weirs. She is a certified AAUS diver, but enjoys both subtidal and intertidal exploration. Her current thesis work revolves around understanding the impacts of ocean acidification on larval Pacific razor clams in Cook Inlet, Alaska. Ashley Rossin is a PhD student who started in Fall 2018. Her research interests include understanding the effects of ocean acidification and anthropogenically-induced climate change on the physiology of marine invertebrates, specifically bivalves. Concomitantly, Ashley is investigating the spatio-temporal variation in pore-water carbonate chemistry in intertidal habitats. She is currently an Alaska Sea Grant graduate fellow, and conducts field work Kachemak Bay, Alaska. Cale Miller My research interests pertain to interactions between biology and biogeochemical cycles in estuarine ecosystems, and how anthropogenic stressors affect organismal function and physiology in a changing ocean. I am currently investigating aspects of the physical and chemical habitat provided by seagrass on newly metamorphosed littleneck clam growth. Future research directions will examine carbonate chemistry cycling between sediment porewater and the overlying water with respect to sediment metabolism and reaction transport. I received my Bachelor’s degree from Oregon State University and my Master’s degree from Western Washington University. I am currently a Ph.D. student at UC Davis working with Dr. Kelley at the University of Alaska Fairbanks. 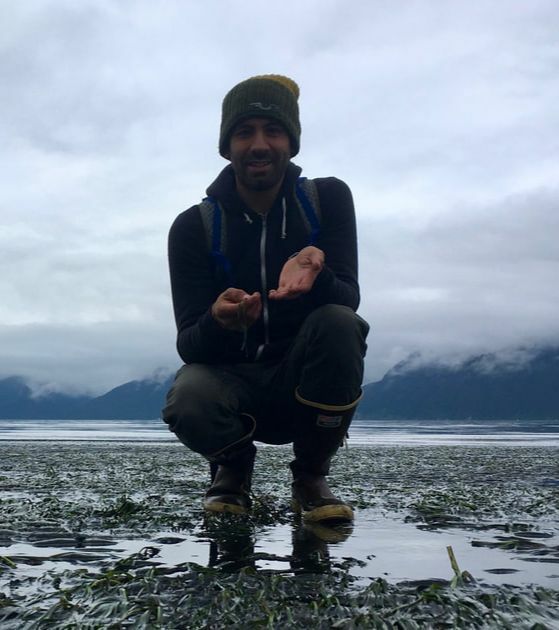 Noah Khalsa grew up in Fairbanks, AK and developed a love for science and the outdoors at an early age. He is currently entering his sophomore year pursuing a B.S. in Fisheries and Ocean Sciences at UAF. His interests are in marine and coastal fisheries, and how oceanographic events affect their health and ecology. To pursue his interests and learn biological and oceanographic laboratory techniques, he will be assisting Dr. Kelley on experiments in the lab alongside his own projects. Alta Dean is a junior in the College of Fisheries and Ocean Sciences at the University of Alaska Fairbanks. She's currently a rescue, cold water and AAUS scientific diver. She's interested in chemical oceanography and hopes to learn more about field research and real world study and application of ocean acidification. Alta spent the summer as an Scientific Diving and Interpretation Intern at the Alaska Sealife Center, and would like cold water diving be a serious part of her career. She is very excited about working in the Kelley lab as well as gaining research skills to study ocean acidification! !